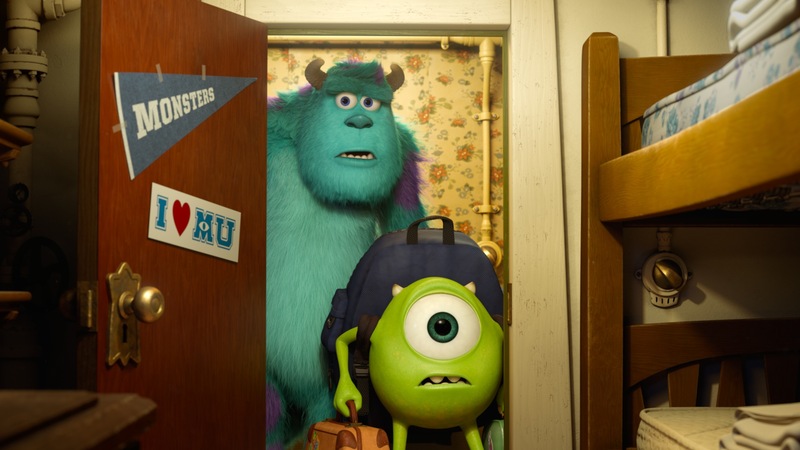 It’s been just over a month since Pixar’s newest film, Monsters University, opened wide across North America. While the financial response has been solid—at this point, it seems safe to assume that Monsters University will end up as Pixar’s fourth-highest-grossing film domestically, just behind Up—the critical response was slightly more mild, though not outright negative or contentious. (The film has a 78% on Rotten Tomatoes and 65 out of 100 on Metacritic; neither are bad numbers, of course, and this column has recently pointed out the shakiness of using these critic-aggregation websites as the foundation of an argument against Pixar’s perceived decline. But the rapturous response of some of the studio’s recent films is, by and large, not present for Monsters University, earned or not.) The attitude among some film lovers is either that Pixar’s golden days are permanently over, or that a lack of qualitative consistency is going to be the norm from now on. Pixar Animation Studios is the exemplar of originality in Hollywood. This is what we remind ourselves when we get frustrated that they’ve announced a sequel to Finding Nemo or a prequel to Monsters, Inc. If those sequels turn out to be more like Toy Story 2 instead of Cars 2, then good for all of us. But when we think of Pixar, we think original. They may pay homage to animated and live-action films from across the globe, of course; however, what the animators and filmmakers in Emeryville, California do has always been based on original ideas. Today, after considering a recently unearthed report, it’s time to ponder the opposite: what if Pixar did traffic in adaptations of preexisting material?